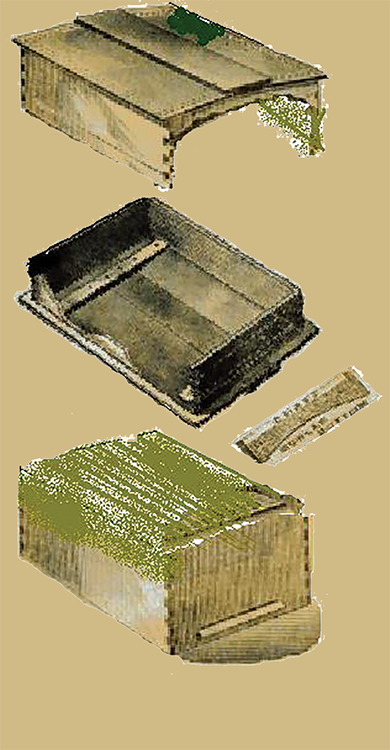 I began my search with the first beehive that was patented in the United States but had a problem because the patent office burned in 1836 and many of the early written patents were destroyed. My records show that there were 1,131 beehives patented up to 2009. 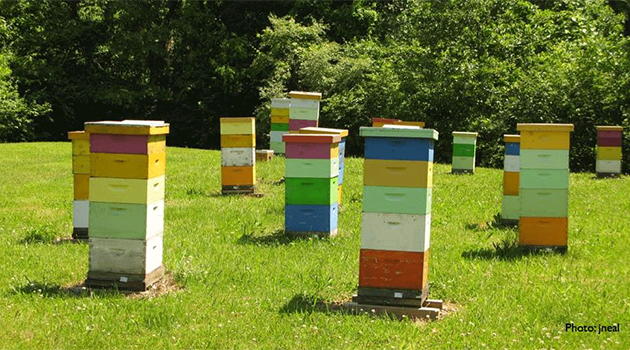 Some of these hives were the same hive with improvements to keep the patent in effect. The very first beehive patented was developed by J. Sweet, April 11, 1810, in Bethlehem, MA, but that record was destroyed in the fire. I found patent X 5,872 was granted to Ebenezer Beard in 1830 with a flat attached cover. Most of the written part was recovered from the fire and had a flat attached cover. 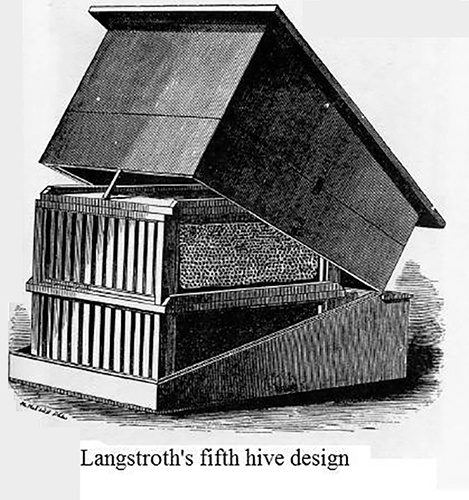 Sixty-eight patented beehives later, in 1853, Lorenzo L. Langstroth was granted a patent for a hive. Reverend Langstroth had actually developed five different models of beehives and most of his hives had flat tops. However his fifth hive was a glass hive within a hive and the outer top could be tipped forward. So it might be classified as a telescoping cover because it covered an inside hive. 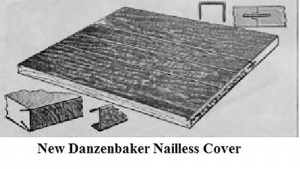 During the 23 years in between the Ebenezer Beard hive and the Lorenzo L. Langstroth hive there were 44 flat topped hives that had covers that were hinged, attached or simply rested on the beehive. There were four beehives that had covers sloping in one direction and two telescoping covers. 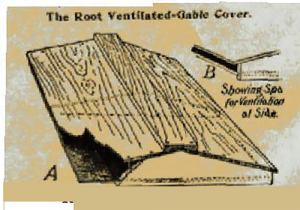 Eleven hives had unusual shaped covers with projections and seven hives had pitched or gable tops. When you stop and think about it, it isn’t really that unusual, as the trend in the early times was to convert a piece of furniture into a beehive and have drawers or a side panel that could be opened. 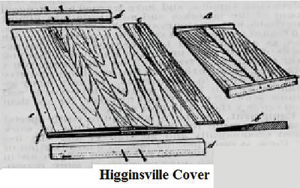 The lumber in the 1850s was available in wider widths so you could get a single piece that would cover the entire hive. However you would encounter the problem of warping or cupping, allowing the top to have gaps between the top and the super. The gaps could be viewed as being good or bad. The gap would provide upper ventilation and an upper entrance to the hive. However, if you wanted to move the hive there was just another place for the bees to escape from the hive. To eliminate the warping, the boards could be cut in narrower strips, the grain reversed and cross pieces used to hold the boards together. This style of cover is very much like today’s migratory cover. A problem arose, what do you do with a flat top once it is removed? You can’t just lay it on the ground in the same orientation as it would smash bees. Your best choice would be to prop it up against something else. 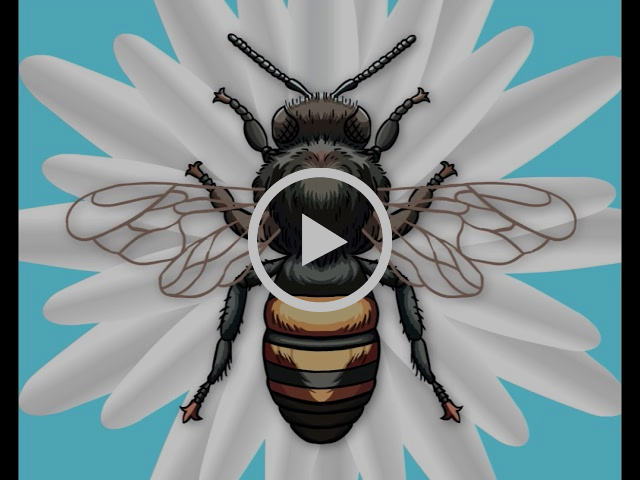 Once a bee is smashed, the alarm pheromone is released and the other bees are now on alert. If you reverse the top and lay it on the ground, you can’t use it to stack equipment on it because it may violate bee space and squash bees. The pitched roof could be set on one side of the roof, but when you go to stack equipment on it, the equipment will be at an angle and limit the number of supers that can be stacked. 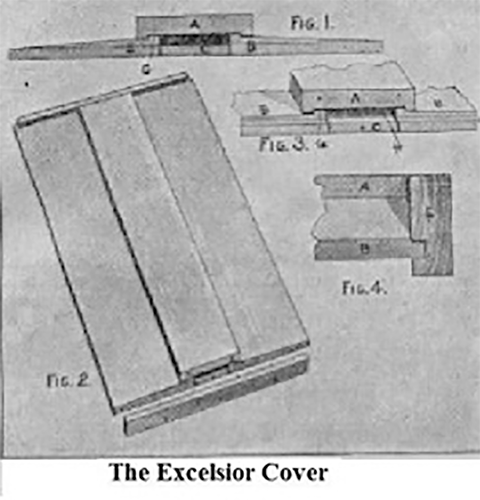 By 1895, there were three types of covers offered for sale by the A. I. Root Company. 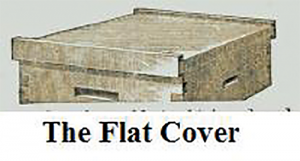 They were the Higginsville cover, the Root Ventilated Gable Cover, and the Dovetailed Chaff Hive. 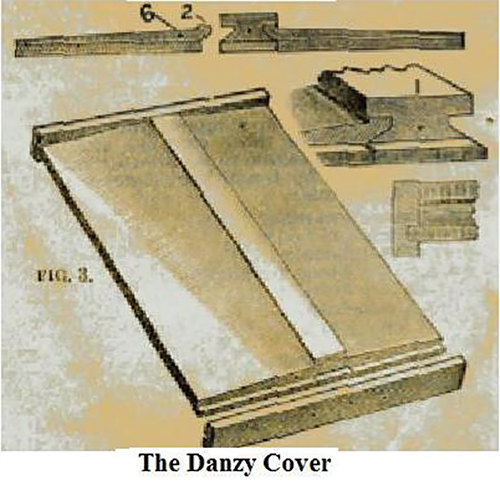 A Dovetailed Winter Cover was available, but it was similar in construction to the outer part of the Dovetailed Chaff Hive. By 1915, the A.I. 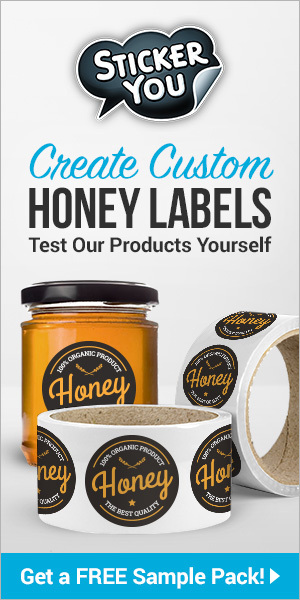 Root Company was offering only four types of covers for the hives. The metal-roofed Double cover was the standard cover supplied with their hives, but the Root Ventilated Gable cover, Excelsior cover and a flat hive cover were available. 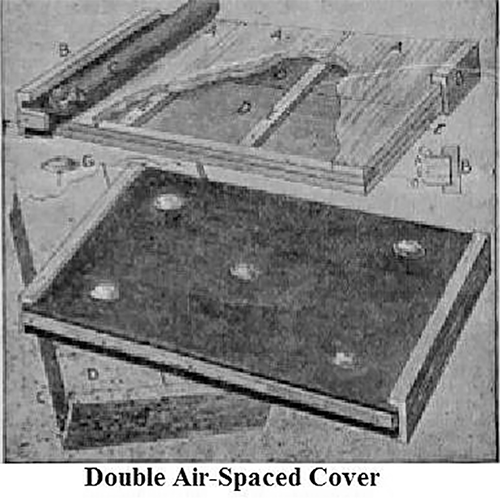 The Flat Cover had been discontinued years before, because clear lumber was hard to obtain, but it is being made again with three top boards instead of one and an option to have redwood as the top board. 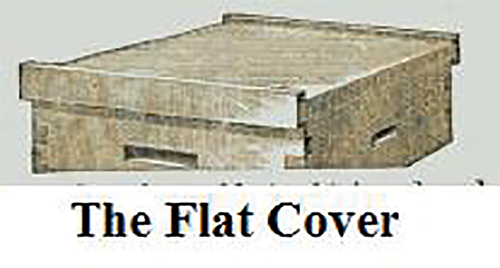 In later years the flat cover will be known as a migratory cover. 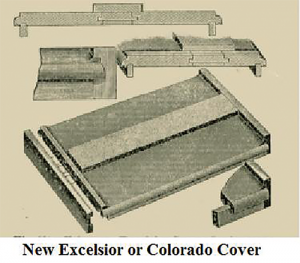 The Root Company continued making the Buckeye Hive, the Excelsior cover which became known as the inexpensive all-wood hive cover, and the Metal roofed Double cover which became known as the metal cover up to 1933. For three years a metal top flat cover was offered and then dropped from the line. In 1940 the Buckeye Hive was dropped from the A.I. Root line. In 1944, The Root Company went to making 10-frame equipment only. 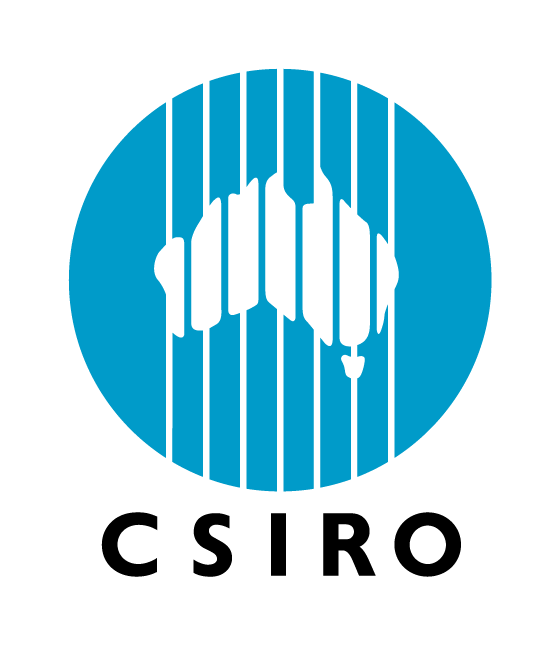 From 1944 to 1955, the A.I. Root Company sold only the metal top and the inexpensive all wood top. Then the all-wood top was discontinued. 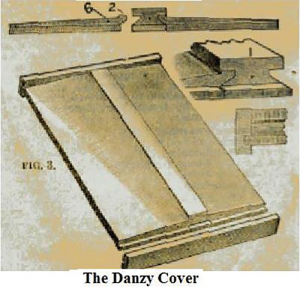 It seems ironic that in the beginning of wooden bee hives that the least popular type of cover became the most popular type and the most popular in the beginning became the least popular cover produced today. Perhaps I am just looking at this from the hobbyist beekeeper point of view. 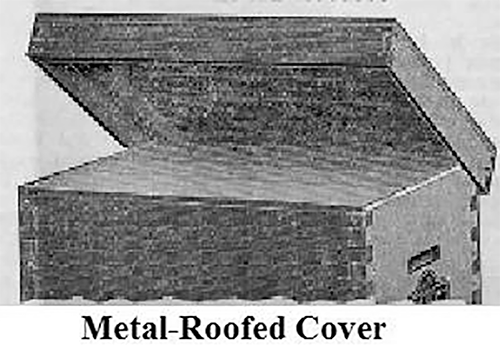 The Migratory Hive Cover is primarily used by beekeepers that are hauling bee hives for pollination purposes and by eliminating the two sides of a cover, allows the hives to be stacked closer together on the truck. 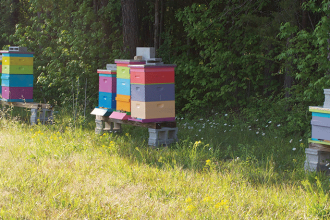 The numbers of hives operated by commercial beekeepers far outnumber the hives of the small beekeepers.